The Flores Center at St. Lawrence is an excellent venue to hold smaller events or reunions. Newly-renovated, spacious, and modern-looking, the Center has a capacity of 240 seats, with 30 round tables and 6 rectangular tables for the court of honor. 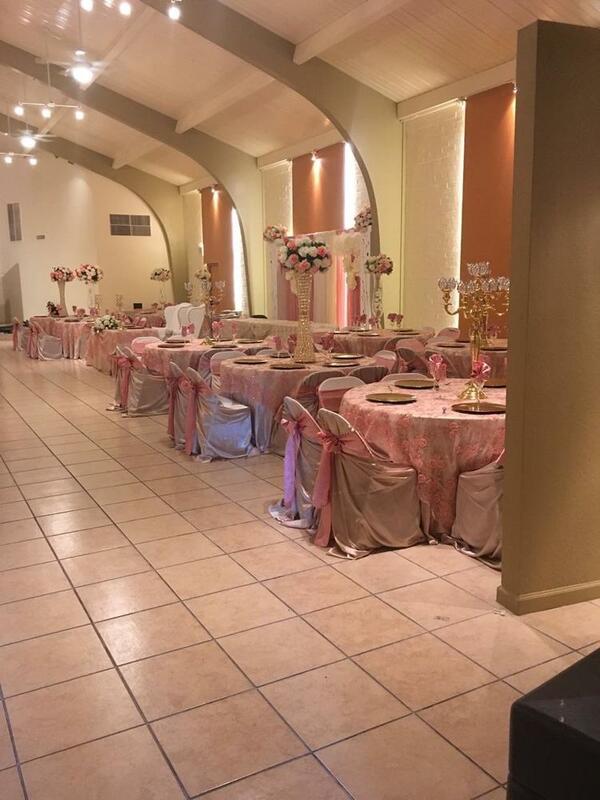 The Flores Center is ideal to host smaller events such as small weddings, quinceaneras, birthdays, anniversaries, or family parties. It is also great for luncheons, reunions, meetings, retreats, and conferences. Catering services are NOT included with the rental of the Flores Center. All clients are responsible for hiring a professional caterer that is insured and permitted in food handling/service. The Flores Center is proud of its business; therefore all Texas Alcohol and Beverage Commission (TABC) laws and regulations will be honored and respected for the protection of our licensing rights. Fore more information on rental fees or to schedule an appointment to see the Flores Center, please contact us at (210) 924-4401.